← Monday Question – What Would You Do Differently In The Perfume Industry? Lann-Ael (Breton for Angel heath) by niche brand Lostmarc’h has been a part of my collection for a long time. An unused part though. I bought a bottle (unsniffed!) when Katie Puckrick recommended it to me in a comment, and who am I to refuse such a tip? But when the bottle arrived, I took a quick sniff, was somewhat underwhelmed and quickly moved on to more exiting shores. Lann-Ael stood forgotten at the back of my closet. I didn’t let go of it for the entire weekend, and now on Monday I am wearing it still. I cannot see now, why I didn’t like this from the start. Lann-Ael is such a comforting treasure. Lasting power could be better, but it is an Eau de Toilette and re-applying is a treat, so I don’t really mind. Created in 2007, Lann-Ael includes notes of buckwheat, cereals, milk, apple and vanilla. From the notes list alone, you can imagine what it smells like and be properly horrified. It must certainly be a sweet, sticky, childish mess? No? Of course it is not. Lann-Ael is simply lovely. Soft, light, cuddly-cozy, comforting, foody -yes, but in an enticing way. I don’t mind smelling like cereal at all. But aside from the cereal idea, Lann-Ael takes me back to a place of comfort, a place of safety and – no other way to put it, despite the risk of severe cheesiness – innocence. Lann-Ael smells child-like, tender, loving and – here we go again – innocent. I want to take the hand offered and take a walk through the wind-blown heath the name suggests, the air is cold, but smells delicious, I am warm in my jacket and the hand guiding me is big and warm as well. I used to go on such walks as a small child with my uncle, but I pretended he was my guardian angel. Lann-Ael takes me back to that place, the fields of Upper Austria as well as that place inside, of child-like trust, fantastic possibilities and the feeling of utter safety. I am glad there is still such a place in my memories. Needless to say I am enchanted with this perfume and of course I want to explore the rest of the line. Do you know the brand Lostmarc’h? Which one should I try next? 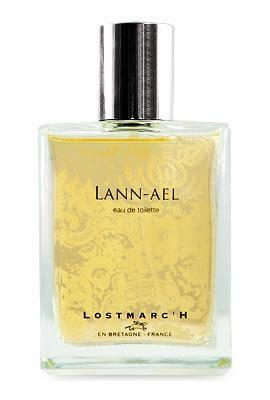 Lostmarc’h is available at First in Fragrance. This entry was posted in Fragrance Reviews, Gourmand, Lostmarc'h and tagged Cereal, Fragrance, Gourmand, Lann-Ael, Lostmarch, Milk, Perfume, Review, Wheat. Bookmark the permalink. Fascinating! I know how it is, one day you get the taste for something you didn’t want before. New line for me, thanks for bringing it out and the fun review. Delightful, isn’t it? I tried it on skin some time ago, doubted that I would wear it on regular basis but found it too conforting and gentle to let go and ended up buying the showergel, which I use when I need an extra cuddle at the end of a long and tiring day. I love it for its cereals note and its milky roundness, even if a quite harsh and not so pleasing lemony note emerges soon-and soon goes away, fortunately. At first I thought it was something related with the detergent base, but I read on Basenotes that others smell it… Do you notice it in the eau de toilette? I remeber having smelled very quickly other Lostmarc’h- an ozonic marine rose- but this one is the most interesting. Ah, the shower gel and body lotion too, must be lovely. Thankfully I never noticed a lemony note whatsoever, nothing harsh for me in Lann-Ael. The cereal note in fragrance is one of my favorites! Toss it with some golden hay and milky sandalwood… aaahhh, divine! I am glad you went to check it out. I want to try Aod and Ael-Mat. I remember being over- rather than underwhelmed by this a very long time ago, and passed my sample along, as you do. But it is so true that you can come round to something much later, so if I see it again, I’ll have a sniff. Can’t help you on the other ones in the range. Very impressed with your careful placing of the apostrophe, btw. I vaguely knew the spelling of this scent/house was tricky, but not the full extent of it! Hi there! Thanks for the review! 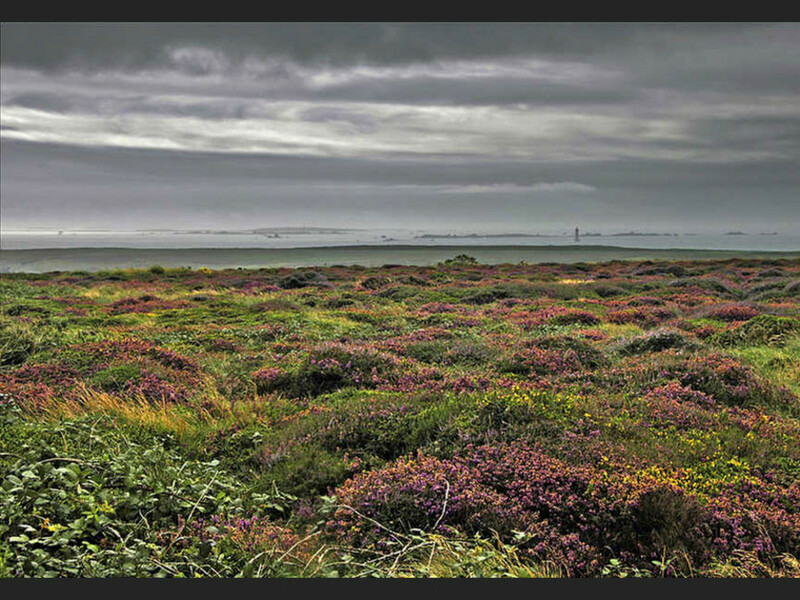 I usually really don’t like aquatic stuff, but I really like their Ael Mat, which smells like a salty seabreeze sweeping over the heather on the Brittany coastline, plus a little juniper and jasmine in there. I haven’t tried any of the others, though, so my experience is way limited. Ael-Mat is definitely one I’d like to try, it sounds lovely, just what I crave for summer. Love the para about walking with your Uncle, really lovely. You are very lucky perfumes seem to regularly evoke special memories for you (whereas I never experience that for some sad, unknown reason). Lann-Ael sounds really comforting and reassuring and like baby food! Do you remember why the wonderful KP recommended it to you? I feel very lucky indeed that perfume works like that for me. My Uncle died last year, this memory of us walking on the heath was very touching and brought back many things I had almost forgotten. KP recommended it along with PG Cedre Sandaraque for the cereal note, but I can’t remember what the original topic was where that came up, sorry. Oh a cereal note I see, that clears it up fine, thanks. Condolences on the loss of you Uncle last year. You write very movingly about him and I found that very touching. Oh, the cereals again, how enchanting! I am very curious about this now. I’ve heard of Lostmarc’h, but have never come across any of their perfumes. Perhaps I can find a sample at one of the usual suspects. Luckyscent carries the line (or most of it, as far as I could see). In terms of uniqueness Lann-Ael really stands out, I have never come across anything similar. I adore this perfume. I ordered a sample a while ago and used it all up. It’s on my “buy it” list. I miss having it around! it is such a lovely scent. I hope you’ll get your bottle soon.